- The first phase of the project is to consolidate the outside walls. "A whale is no more a fish than a horse is." Vocabulary is the foundation of one's language ability. In Japan, vocabulary is often said to be the "foundation" of language ability. Words are often likened to the "building blocks" of a construction. They say that these building blocks (= vocabulary) form the foundation, so without them, you can't build a proper construction (= English ability). So many high school students work hard to cram thousands of English words into their heads throughout their high school life. 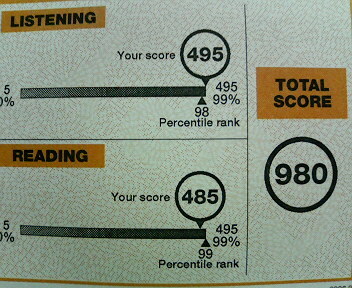 Some even keep doing it in university when they are faced with English tests like TOEIC. This becomes especially salient when high schoolers start preparing for university entrance exams. They are made to take this statement for granted; "vocabulary is the foundation, without which one cannot have a good command of English." In some extreme cases, their English learning literally equals to vocabulary building with the help of an amount of English-Japanese word-lists (Hundreds? Thousands? Maybe more!). However, in my view, words are not really the foundation of one's language ability. Don't get me wrong; this is not to say that vocabulary is unimportant. I'm happy to concede that if you effectively use big words you can impress people. It might also bring you a high score on English proficiency tests if you successfully use academic words in them. The point I'm trying to make is that there is something more foundational to language ability. It's the command of using these individual components of language. Think again about the "building" metaphor. The most important thing when you want to build a construction is… building blocks? So, then, as long as you have materials, you can build a house? No. You. Can't. I think what is more important is if you have people who are able to use the materials effectively in order to complete a full-fledged building; how good your builders are; how well they can manage the task of building a satisfactory house even when they do not really have up-to-their-expectations materials, in which case they might need to improvise some ways to make up for the shortcomings. Here, I am not saying materials are unnecessary. We do need them. We should have as good materials as possible, and as many of them as we can afford. But that's still, I dare say, relatively secondary. What matters more is proficiency in using them. You cannot expect that you're always provided with best materials. More often than not, you have to compromise. You have to think up a way to overcome what you don't have. Because you'll never have ENOUGH vocabulary. Vocabulary is important. But it's not the most important thing. To prove this point, have a look at popular English proficiency tests used worldwide. Just have a look at them in terms of what they are trying to find out when they're testing people's English abilities. They seldom ask you about the definitions of individual words as a separate component. You should notice that their primary concern is to find out how well you can use these linguistic components as an "integrated" thing, in a functional manner (I mean, to achieve meaningful goals in life). In this regard, 英検 (Eiken STEP test) is quite an exception, and I take it as one drawback it has to deal with if it really wants to go global. I even suspect it embodies the fact that so many Japanese people still see vocab-building as the primary method of language learning. Well, so, by way of conclusion, let me sum up the point that I've been trying to drive home; Vocabulary is important, but not the most important thing. How well you can use the "language building blocks," vocab included, is more essential. Thanks to your support, this blog ranks 1st in these blog-ranking sites! South Korea's protests: How are you feeling today? As the national stadium is going to be innovated, this will be the last tournament held in this facility. We are honoured and filled with joy to be playing here today. With gratitude and respect to all people involved in soccer, we pledge to fight with all our strength to the very end. We will fight with smile on our faces. Learning a second language is a long and complex undertaking. Total commitment, total involvement, a total physical, intellectual, and emotional response are necessary to successfully send and receive messages in a second language. Language learning is not a set of easy steps that can be programmed in a quick do-it-yourself kit. So much is at stake that courses in foreign languages are often inadequate training grounds, in and of themselves, for the successful learning of a second language. Few if any people achieve fluency in a foreign language solely withing the confines of the classroom.